You may have heard the term “swamp” associated with Congaree, but contrary to the stereotype, the newest of the national parks is actually a floodplain forest. It floods about 10 times a year, bringing new life to already buzzing forest. Established in 2003, this lush land in Central South Carolina happens to be the largest contiguous tract of old growth bottomland hardwoods in the United States. It spreads northeast, over 22,000 acres, from the Congaree River and feels like a world of its own. Hiking through mossy woods leads visitors into backcountry inhabited by wild boars and bobcats. Sounds of woodpeckers hard at work echo through the woods while river otters frolic in the waters. 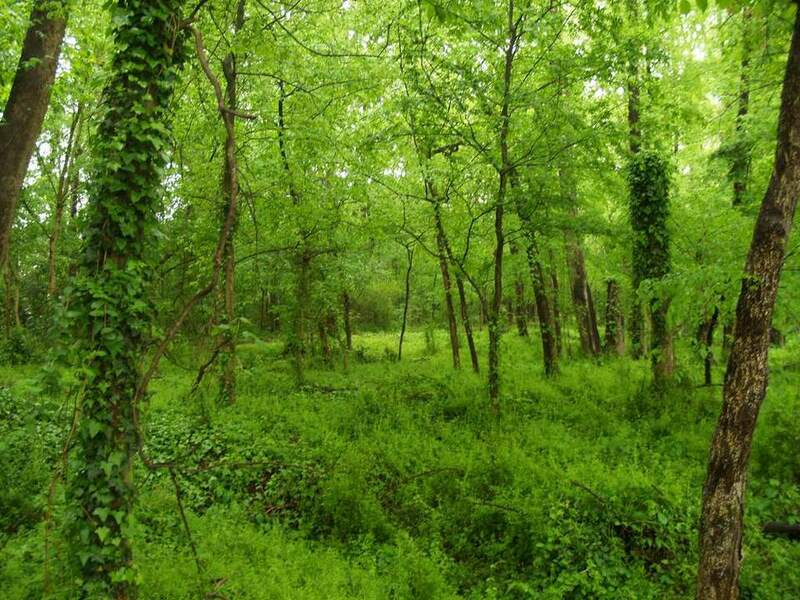 For those looking to experience nature at its finest, Congaree is a great place to start. The area was claimed by Congaree Indians who unfortunately were wiped out by a smallpox epidemic introduced with the arrival of European settlers around 1700. Attempts were made through 1860 to make the land suitable for planting and grazing, not an easy task considering the swamp-like conditions. By 1905, the Santee River Cypress Lumber Company, owned by Francis Beidler, had acquired much of the land. Logging proved to be difficult due to poor accessibility by land and operations were suspended within 10 years, leaving the floodplain basically untouched. The land was authorized as a National Monument on October 18, 1976, was wilderness designated on October 24, 1988, and also designated a Biosphere Reserve in 1983. Congaree was finally designated a National Park on November 10, 2003. The park is open year-round but spring and fall remain the most pleasant seasons to visit. Not only is the landscape lush and vibrant, but during these seasons, ranger-led walks take visitors on hikes to hear the calls of barred owls. Boaters prefer to visit in late winter and early spring as there is easier paddling after rain at those times. From Columbia, South Carolina, head southeast in I-77 for 20 miles t exit 5, Bluff Road/S.C. 48. From there, just follow signs to Congaree National Park which is located at 100 National Park Road in Hopkins, South Carolina. There is no fee to enter Congaree National Park. Loblolly pines stretch over 160 feet high in the sky, some higher than the Amazon rainforest. Majestic old bald cypress trees, some measuring more than 25 feet in circumference. Dead trees have made great homes to fungi, birds, reptiles, and insects. Thick vines of muscadine grapes and climbing hydrangeas hug the trunks of ancient trees, creating a sense of being in the primordial land. Weston Lake: River otters play in these waters along with red-bellied turtles. The small oxbow lake was once part of the Congaree River but over time was left behind as its own 25-foot deep body of water. Weston Lake Loop Trail: You can extend the Boardwalk Trail with this 4.4-mile trail. This is the largest part of the park's creeks and visitors' best chance to view herons and otters. Oak Ridge Trail: Accessible off the Weston Lake Loop Trail, this trail requires a bit more time. Leave a half to full day for the 6.6-mile round-trip. King-snake Trail: A great choice for those seeing wildlife viewing opportunities. This low-traffic trail offers a secluded exploration of the park showcasing many different species of birds. Cedar Creek Canoe Trail: Rent a canoe or find out when the once-a-month guided tours occur through these dark and mysterious waters. Two primitive campgrounds are located within the park and backcountry camping is also permitted with free required permits. Camping is allowed year-round with 14-day limits. For those who are backcountry camping, keep in mind that campsites must be at least 100 feet away from roads, trails, lakes, and flowing water. Also, remember that open fires are not allowed. For those looking to stay outside the park, Columbia is a nearby town with many hotels, motels, and inns. The Econo Lodge on Fort Jackson Blvd. and the Holiday Inn on Gervais St. offer the least expensive rooms. Claussen's Inn is also a great option. Santee National Wildlife Refuge: Only 50 miles southeast of Congaree National Park, this refuge provides a safe-haven for nesting and migratory birds. Over 300 species have been recorded, including the bald eagle, peregrine falcon, and wood stork. Visitors can also expect to see alligators, deer, bobcats, turkeys, and coyotes. Though camping is prohibited, possible activities include fishing, scenic drives, and hiking. Looking for Coasters and Fun in South Carolina? South Carolina Gay Pride in Columbia expected for early Sept.
Where Should RVers Go in South Carolina? How Often Do Hurricanes Hit North and South Carolina?